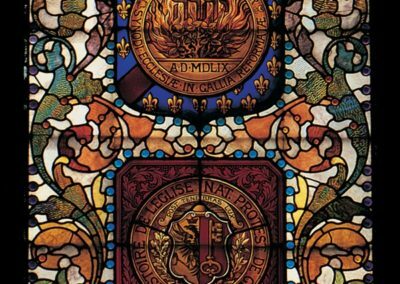 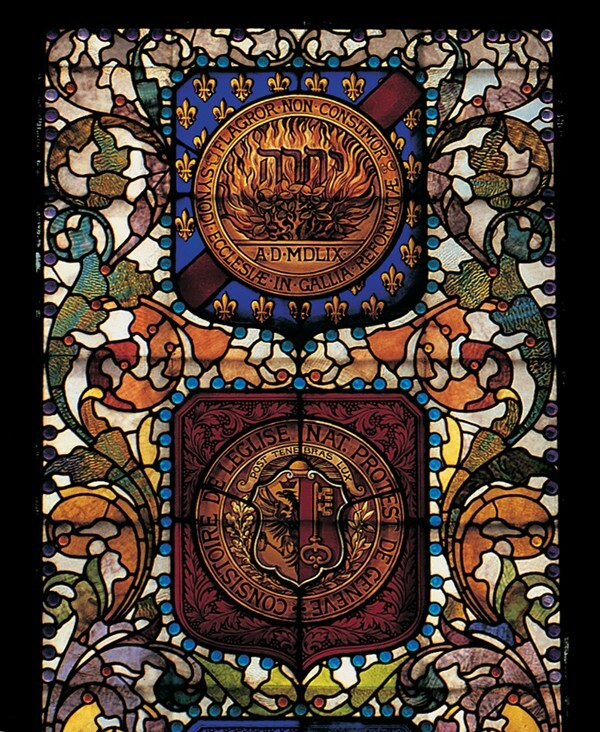 To Conserve the 1889 McCully and Miles stained glass window at Immanuel Presbyterian Church in Milwaukee, Wisconsin. 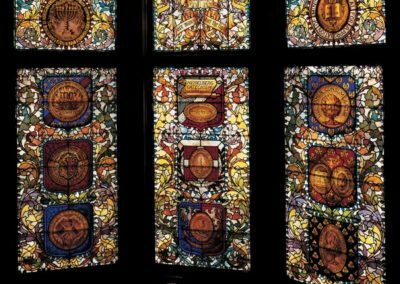 The 1889 McCully and Miles window from the Immanuel Presbyterian Church is a masterpiece of design, using detailed Florentine etch, hand-painting, hand staining and hand-faceted stained glass jewels. 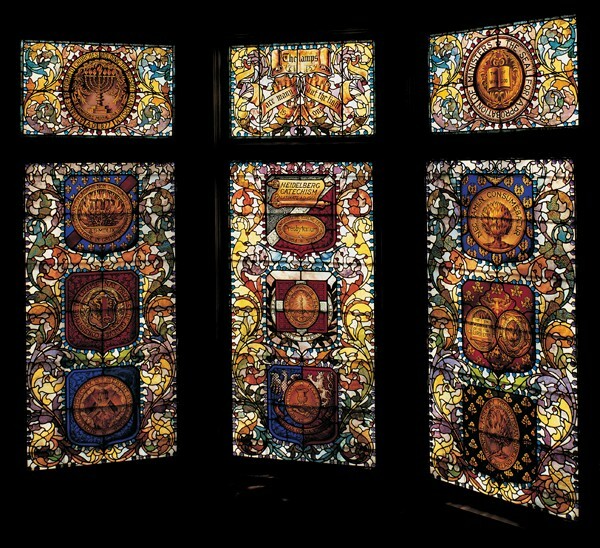 After conducting documentation and research, Conrad Schmitt Studios conserved the window and replicated damaged painting on two millimeter slide glass, allowing the window to appear as it was originally intended.